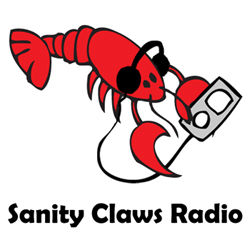 Sanity Claws Radio: Free For All: Summer 2013! The guys talk about anything and everything that has been bugging them recently in the second Free for All conversation of 2013. Steve, Ben, Badger, and Jon sit down to talk about anything and everything that they have been thinking about lately. Whether it is bad movies, fun games on the 3DS, terrible house troubles, or digital conspiracies against individuals, the guys discuss whatever they want to talk about right now. Also, Ben plays an awesome crossover game, Steve goes house hunting and Jon switches it up. And finally, we round out the show with a Putin-tastic round of I Can Top That! Join in won’t you? ← Let’s Play Dead Space 3 – Episode 21!